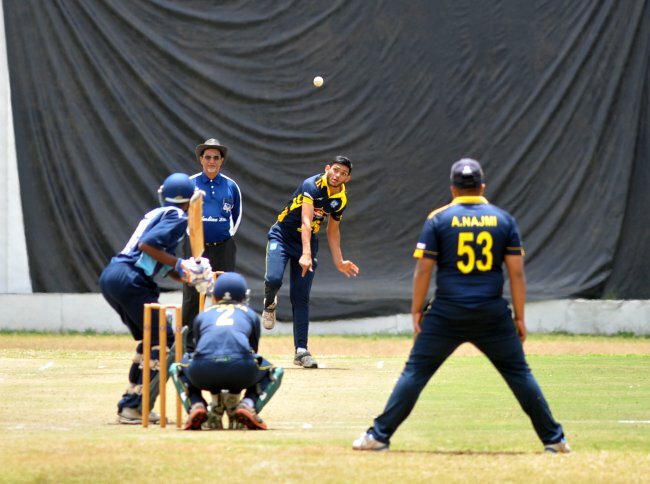 Of all the bottom six teams in the Nairobi Provincial Cricket Association (NPCA) Super league, it’s only Nairobi Gymkhana who have been able to give leaders Kanbis a run for their money. While the other teams in the league with the exception of Stray Lions, Swamibapa and Sikh Union, Nairobi have struggled against the high riding immediate former champions, Karan Kaul led Nairobi Gymkhana has given a creditable performance. In their last four meetings, Nairobi Gymkhana have always put a good fight at the beginning of their inning only to be let down by the inability of one of their top batsmen to take responsibility and see the team through. As the two sides battle it out in the second leg action this Sunday at Nairobi Gymkhana, Kaul has urged his charges players not to take their places in the team for granted. The skipper wants his batsmen to chip in and complement those who go on to make bigger scores in order to finish among the top teams. "There's no room for making 40s, 50s or 60s and you feel comfortable," Karan stated. "I know they have the ability, and I am pretty sure they can play big innings. You can have two big innings but three or four other batsmen also have to chip in. It always helps to get to a big total. Otherwise it becomes difficult for any team." Nairobi Gymkhana batsmen have also been inconsistent - batting well in one inning and poorly in the other. Kaul who lost his place in the national team, believes lack of concentration among the batsmen has also contributed to their good show in the matches they have lost. From 12 matches, the Forest Road-based side has won only four matches. "There is a problem with our batting," Kaul admitted. “It is probably the concentration factor. We can only improve by staying on the wicket for long. For the batters to score more runs, that’s what they need to know. And especially when playing a team like Kanbis, there is no two ways about it but to concentrate for a long time and play under pressure." Among the players that Kaul will be looking at to put on a good fight against the visitors are national team middle order batsmen Rushab Patel, Veer Dave and Dominic Wesonga. When they met in the first round at Eastleigh High School, Nelson Odhiambo (136 off 138 balls) and Ramesh Mepani (108 not out from 87 balls) all scored centuries as Kanbis won by 161 runs. Odhiambo will getting into this match fresh from his second ton of the season last week against Ruaraka. At Nairobi Jafferys, host Swamibapa will be seeking to bounce back from an unlucky finish last week against Nairobi Gymkhana when they welcome Sikh Union, Nairobi. Swamibapa’s chances of winning the league hit a snag last weekend when rains came down forcing the match to end prematurely. Defending champions Stray Lions will be at Ruaraka in search of a their 13th win of the season. In the meantime, the national under-19 cricket team coach Jimmy Kamande has praised the development and confidence of the young guns coming through in the team after their one week tour in Rwanda. Although the junior boys won three of their five matches in the tour, Kamande took some positives by singling out the performance of Aveet Desai and Aman Gandhi. The performances of the two in almost every match was able to give the Kenyan side a fighting spirit in the five matches. Kenya was using the matches to prepare for next year's ICC U19 World Cup in New Zealand. "The youngsters played really well at the end and they showed a lot of promise," Kamande told Sports News Arena on the team’s arrival from Kigali on Wednesday. "It's great to see them play with confidence and with a bit of freedom. I think it tells a story about our culture within the team. The guys have the freedom to watch the ball and enjoy the cricket,” the coach observed. The coach said that as a result of the performance and character shown by the players, Kenya's chances defending champions West Indies and former champions South Africa are higher than before. “There has been a lot of positives with everything has worked out. We are able to see players batting for longer. We are able to see the players thinking on bowling and field changes on their own, which clearly shows that they are improving,” Kamande stated. Being Kenya’s first appearance at the World Cup in 14 years, Kamande was upbeat. "I was impressed with some of the youngsters in the team. I think the depth looks really good and the future looks bright."